Today marks the start of Sundance London Festival 2013, the music and film extravaganza, born in Utah and fathered by Robert Redford. 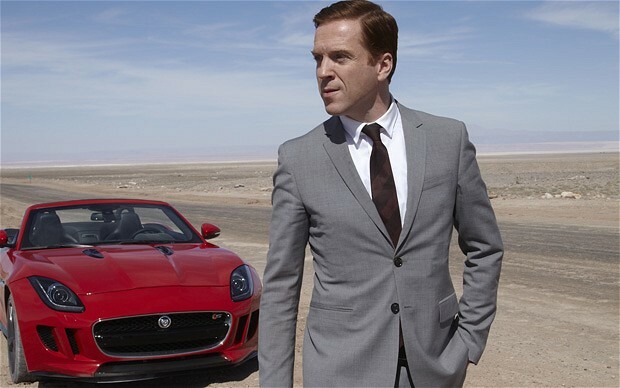 To celebrate the launch, Jaguar, one of the festival's sponsors showcased their specially commissioned short film 'Desire' - starring 'Homeland' star Damian Lewis and featuring the music of Lana Del Rey. Watch it below. Directed by Adam Smith of Ridley Scott Associates, the short film sees Damian Lewis driving a flashy sports car before encountering Shannyn Sossamon's fleeing wife character. She then commandeers the vehicle and takes Lewis on (an occasionally) high speed chase away from her longing husband (Jordi Mollà) before the almost inevitable stand-off. Aside from being an advert for the new Jaguar F-Type, 'Desire' is something of an advert for Lewis as a potential future Bond - a move I'd be really interested to see. Lana Del Rey, is perhaps also putting herself in contention for a future Bond theme, having written 'Burning Desire' for this short. Sundance London runs from 25-28th April '13. Find more info at sundance-london.com.